I was inspired by all of the beautiful changing colours outside to bring some of it into the house and make a simple leafy wreath to channel some Autumnal beauty and celebrate how wonderful nature is at this time of the year. 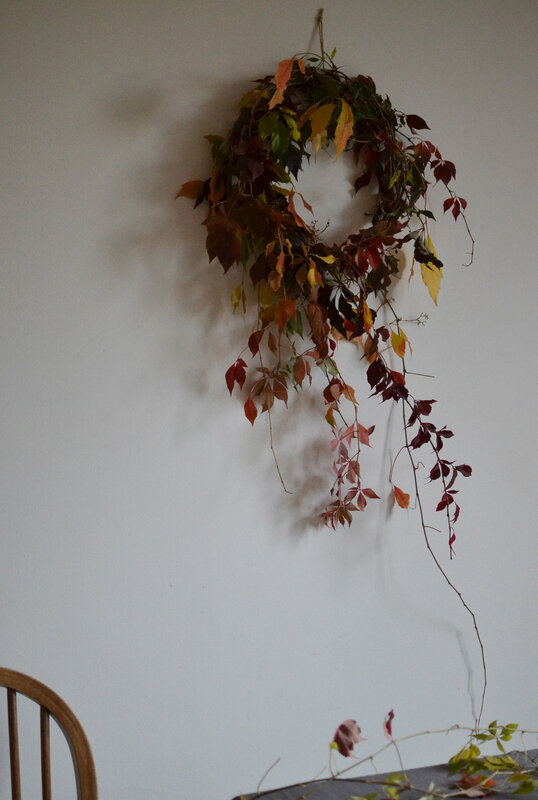 I thought that some of the bountiful virginia creeper that I have seen crawling and trailing over every wall would work perfectly because its flexibility lends itself very well to wreath-making, and it's got the most lovely trailing tendrils. I used the wire frame from a previous wreath that I made a couple of years ago (see here), so it was very quick. I made the frame simply by twisting a couple of lengths of soft gardening wire into a slightly irregular circular shape (you'll need some strong scissors or pliers to cut the wire). Then it was just a matter of twisting and tucking the strands of creeper in and around the wire frame so that they stay in place, and fill the circle. The colours looked so beautiful! I used a bit of floristry wire to anchor the strands to the frame and keep it all secure. 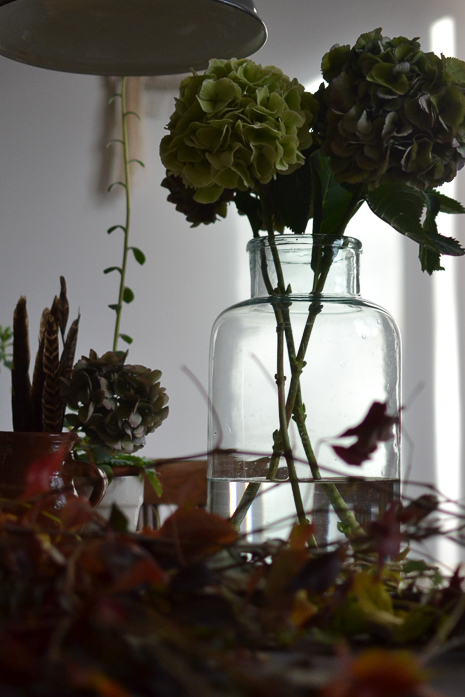 I made sure to leave lots of straggly bits hanging down as I like a messy wreath. A wild, messy, overflowing wreath, full of the colours of Autumn.